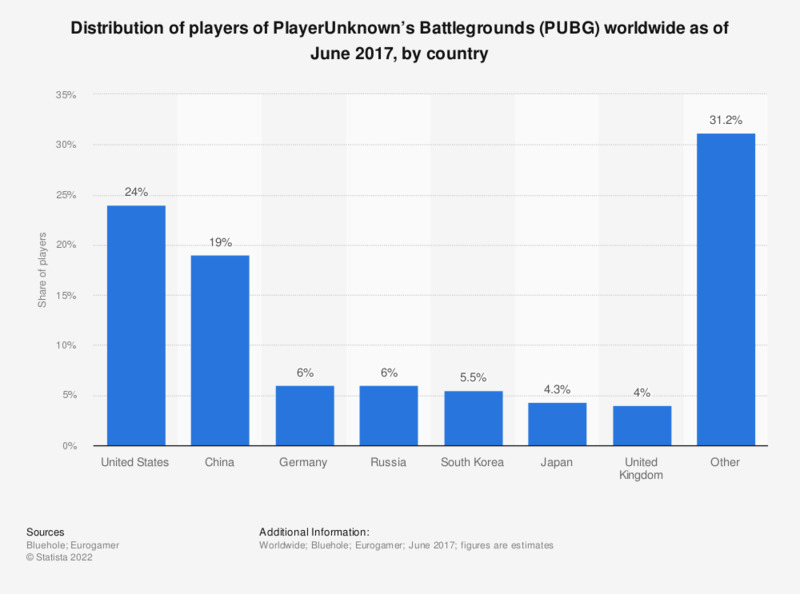 The statistic presents information on the distribution of players of PlayerUnknown’s Battlegrounds (PUBG) worldwide as of June 2017, by country. According to the estimates, 24 percent of PUBG player base was located in the United States, with further 19 percent originating in China. The battle royale game was developed by Bluehole and published by Microsoft in March 2017.